Are you trying to sell your old, damaged vehicle in the Newcastle region? If you said yes to that, this is the right page for you. We are Newcastle’s No1 Auto Wrecker offering instant cash for your car with free collection. Sometimes we forget the importance of de-cluttering our own house, our own space. The feeling you get when you see a clean room, or a clean garage, without any trash or junk is one of the best feelings in the world, isn’t it? So let’s help you feel your best, with the help of our best. We are a car removal company in Newcastle that will help you get rid of your vehicle, whether its old or barely used. We will also make sure that you get the amount that your car’s condition deserves. If you have barely used your car and is as good as new, you will receive a great price for it! We offer up to $8999 for all types of vehicles. We provide free car removals as we are wreckers who need vehicles to continue our business. We pay for old, unwanted cars and trucks, and also offer plenty of services in order to beat all of the competition. Our most popular trait that has been appreciated in most of our reviews is that we offer a great amount of cash for cars. Our team will ensure that cash is paid instantly and on the spot to the customer who is trying to sell their vehicle. Instant cash payments and honesty are the two main reasons for our increasing popularity. Our wrecking yard is where we wreck vehicles and ensure that each and every part of the vehicle is either reused, recycled or resold to anyone or any entity that might use it productively. If you have an unwanted vehicle like cars, vans or even trucks, we are the car removal service that will give you a free service. All our vehicle removal services are free of cost and free of hassle. You will never think of any other service for car removal in Newcastle once you have worked with us. This is the reason that most of our customers come through referrals. Scrap cars (Newcastle) are a specialty of Origin Cash for Cars in Newcastle. We buy scrap cars, junk cars, damaged cars, abandoned cars, broken and even accidental cars. We then dismantle the vehicle as car wreckers. The wrecking process then makes it easier and faster for us to make sure we have made the most out of a ‘useless’ vehicle. Although, the process continues when we take the left over vehicle for scrap metal recycling. If you’re looking to sell your junk car in the Newcastle region, you should ideally be picking some facility that allows you benefits for the service, instead of making you do all of the work. Customer’s priority is the first priority and we ensure full focus to consumer’s convenience before we take up any of the work. Since we are also involved in other types of businesses including car scrapping and sales of spare parts, we are the most eligible company that you should be selling your vehicle to. We buy cars from all around Newcastle and are available to book appointments all through the week, including the weekend. 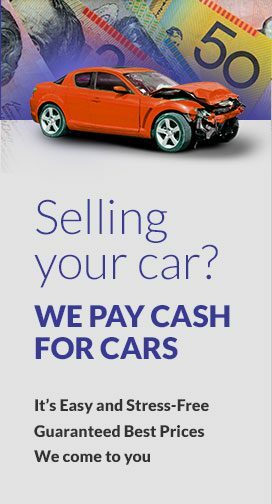 Origin Cash for Cars is a car buyer in Newcastle that will give you cash for scrap cars. We offer cash on the spot for these vehicles as we have to ensure a hassle-free service experienced by our customers. We work all through the weekend just to be able to offer our services to more and more people, especially the ones that are free on the weekends. None of the cars that are sold in Newcastle should miss the opportunity to be crushed by us! Well, we want to be able to acquire as much raw material we can, for our workplace. We buy all types of commercial vehicles such as cars, trucks, vans, utes, minivans, SUVs, etc. We do not care about the condition that the vehicle is in. If you are trying to sell it, we are going to buy it! We not only pay cash for cars up to $8999, but we also ensure that this payment is done instantly after the car has been picked up. Once the driver has arrived at your location, you will need to give him your identification and keys after which they will provide you with the paperwork that will be completed by us as a complimentary service.